So You’re Charged With A DUI: What’s Next? - Crooks, Low & Connell, S.C. So You’re Charged With A DUI: What’s Next? For many individuals who are charged with a DUI, this will be their first encounter with the criminal justice system, or even their first time in a courtroom. They may be uncertain about how swiftly things will proceed, what steps will come next, or what rights are important to assert. If you’ve never been involved in a criminal proceeding before and aren’t sure what to expect, this post provides a basic overview. While hiring a criminal defense attorney who can navigate this process for you is an important first step – having your own knowledge about the process and what your role is can go a long way toward increasing your comfort and ensuring that you are your own best advocate. The criminal process in Wisconsin begins after you have been arrested for DUI. Perhaps you were pulled over for a traffic violation, or stopped on suspicion of driving while intoxicated. In either event, if the officer believed you were intoxicated and tests confirmed his suspicions, he likely arrested you for DUI. After arrest, you will be given the opportunity to hire a lawyer to represent you in further proceedings. If you cannot afford a lawyer, the legal system will provide a public defender because you are a criminal defendant. The first time you appear in court will be for what is known as an initial appearance in Wisconsin. If this is your first DUI and you hire a lawyer, you will not actually have to appear in court. If this is a second DUI, you will have to appear in court. At the first appearance the judge will tell you what the charges are against you and the details of those charges, including the maximum penalty that you might face if found guilty. Afterwards, you may have the opportunity to enter a plea. If you plead not guilty, the case will proceed toward trial. If you elect to move forward with your case, your lawyer will obtain discovery. Discovery is all information regarding your case from the prosecutor. Then you and your lawyer begin to reviewing and analyzing the evidence against you. For instance, video from the traffic stop might show that the officer failed to follow proper protocols, thereby violating your constitutional rights. Or the results of your breathalyzer test may suggest that the test was not properly administered or somehow malfunctioned. Based your attorney’s analysis of the evidence, they may then proceed with certain motions to try to suppress such evidence so that a jury may not consider it during trial. These types of motions serve an important strategic purpose. If successful, the elimination of evidence can place critical limitations on the prosecutor’s case. These limitation can then cause a prosecutor to face the weaknesses in their case – which often opens the door to plea deal options. Once both parties have a better sense of the evidence that will be allowed at trial, each side must begin to calculate their chances for success and the risks of proceeding to a jury. This is often the time when the prosecutor will offer a plea deal to the defendant, if a plea deal is to be offered at all. A plea deal is usually an offer to charge a defendant with a lesser crime in exchange for the defendant agreeing to plead guilty to that crime. This eliminates the need for trial, and the risk of trial for the prosecutor should the defendant be found not guilty. It also eliminates the risk for the defendant of facing a particularly tough charge at trial, with the possibility of a maximum sentence for that charge should the jury find them guilty. 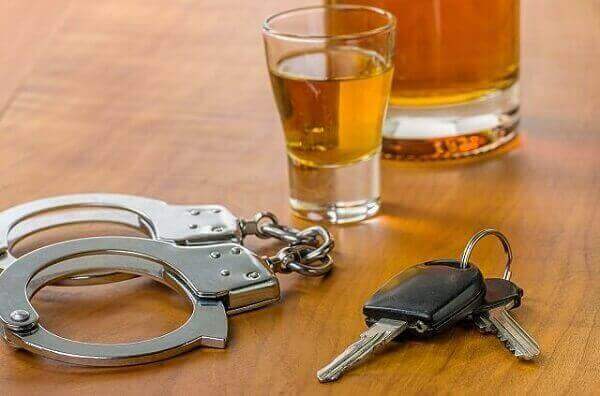 DUI trials in Wisconsin generally last one to two days, with both parties being offered the opportunity to present the evidence that they think is important. The evidence will be presented to a jury and the jury decides the case. If the jury finds the defendant not guilty, then the case is over. If the jury finds the defendant guilty, then the final stage in the process will be for the judge to hold a sentencing hearing and sentence the defendant. Although it is helpful to have a good understanding of the criminal process, it is also important to know that you are not alone in that process. A good criminal defense attorney can be your best friend and advocate – and help you navigate the various stages of the criminal process with relative ease. At Crooks, Low & Connell, S.C., our criminal defense attorneys are available to assist you in a wide array of criminal charges. For more information, or to schedule a consultation, contact our Wausau, WI offices online or at (715) 842-2291.